I am a person who believes strongly in moral character. Honor comes above all. Integrity and loyalty are two traits that I hold very highly. I still firmly believe in, and practice, the motto of my brigade in the Army: I will not fail those with whom I serve. I am originally from Salt Lake City, Utah. Being raised in an Air Force family gave me the opportunity to live in a number of different places as a kid. My professional life started in the Army. 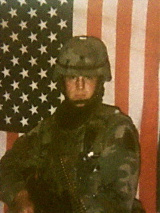 I was a soldier for 10 years and stationed in Germany for all of that time. 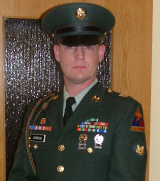 After the Army, I worked as a Department of Defense civilian, and stayed in Germany for an additional 3 years. In 2005 I moved back to Reno, Nevada. I worked in Reno full-time while also pursuing my degree in Professional Aeronautics. I finished my 4-year degree in 2 years and 9 months, while working full-time. Upon completion of my degree, I began work as the Operations Supervisor at the Minden-Tahoe Airport. I bought my house in Indian Hills General Improvement District, just south of Carson City, Nevada, where I live today. After buying my house, I felt the need to get involved, so I ran for office as a Trustee on the Board of Trustees for the Indian Hills General Improvement District. I am currently serving my second term. I was honored to serve as the chairman of that board for two years, and am very proud of our board and the great things that we are accomplishing in our district. My activities and hobbies describe a great deal about my character and discipline. I served as the President of the Astronomical Society of Nevada (ASN) Board of Directors, and now am the Outreach Director for the ASN branch in Douglas County. I also served as the Vice-Chairman of the Reno Air Racing Foundation board of Trustees (now the Pathways to Aviation Foundation). My spare time is spent scuba diving as a PADI Master Scuba Diver, flying a Cessna 172 to earn my private pilot certificate, or flying my collection of different drones. I believe strongly that there is nothing that I cannot do. For me, there are simply two types of things: things I can do, and things I haven't learned yet.